The Loft Practice | The Loft Practice offers face to face, short term and long term therapy with experienced and fully qualified practitioners in a central Brighton location. Life can be uncertain and tough at times. During our lifetimes we will almost certainly all face a variety of challenging experiences including loss, ill health and difficulties in relationships. 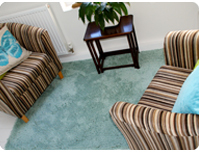 At The Loft Practice we believe that having therapy is an important part of looking after yourself. We won’t advise you on how to live your life, but will help you to find your own way in making sense of things. We will accompany you on your own very unique journey towards living your life more fully, bringing about effective change or simply enhancing your wellbeing. People attend for a range of reasons and although this list is not exhaustive it will give you an idea of some of the issues that we can help with.